The Royal Automobile Club’s annual London to Brighton Veteran Car Run takes place on the first Sunday of every November. This year over five hundred cars entered the 115th run and the entrants were from all over the world. The event, known affectionately in the city as ‘The Old Crocks’ was as popular as ever and the cars which made it to the finish line were given a great welcome. This popular and classic run commemorates the ‘Emancipation Run’ of 14 November 1896. This celebrated the passing into law of the ‘Locomotives on the Highway Act’, in which the speed limit for ‘light locomotives’ was raised from 4mph to 14mph. The act also abolished the requirement for a man on foot to walk in front of the vehicles. In 1896, thirty three motorists set off from the London Metropole Hotel to drive to The Metropole Hotel Brighton; only fourteen of them completed the journey. The first formal re-enactment of the 1896 Emancipation Run was in 1927; with the exception of the war years and 1947 when petrol rationing was in force, it has taken place every November since. Used to go round the corner from my house in Campbell Road and watch them every year. They always used to wave at us kids and we thought they were great. I suppose they go a different way now as it’s one way traffic now. I saw them from 1953-1964, and yes we called them old crocks. Don’t live in Brighton anymore so can’t see them. I used to live near Larry Adler in Maida Vale, so always think of his signature tune in the film ‘Genevieve’ when the Brighton Old Crocks Run is mentioned. My father used to operate the Pyecombe Garage which was on the route to Brighton. As a boy my brother and I used to help out refueling the “old crocks”. We never ran out of petrol but one year (in the early 1950s) we first ran out of water! and as the entrant numbers increased so did the demand for water. 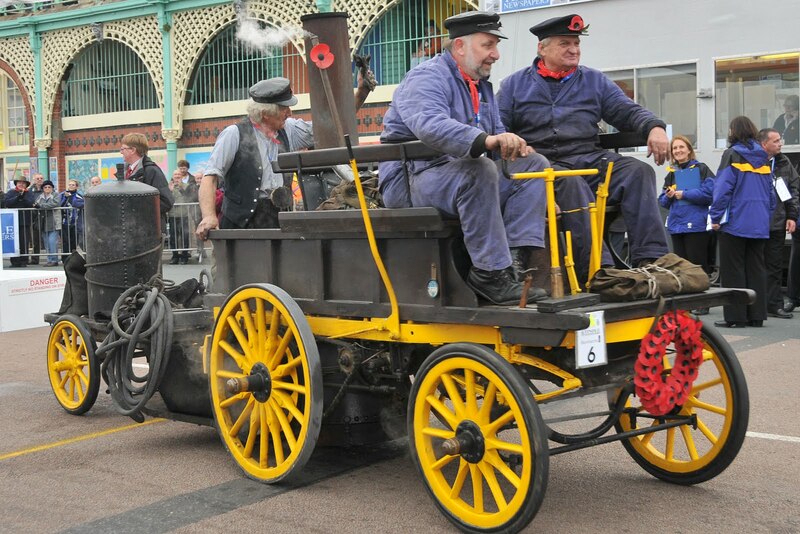 The London to Brighton Veteran Car Rally is now the politically correct term for this event. However being as I have known it all my 65 years as ‘The Old Crocks Race’, as far as I’m concerned that’s the way it will always be to us local people, particularly as my Grand Children now also refer to them as the “old crocks”. (the cars not me and the wife). Long may it survive as well. My greatest fear now is them green people don’t ban it because of the exhaust that is emitted.